Video Gaming Tournament in Miami Becoming a Huge Trend Growing Number of Fanatics Shows LANBASH is a Hit and Meeting Demands. Miami, FL – CBT College (College of Business & Technology), an academic and career institution based in Miami, Florida operating five campuses in the greater Miami-Dade area, announces its fourth LANBASH event; an interactive Video Gaming Tournament, “Rise of the Heroes” is set for Friday, April 29th from 6 to 11p.m. The competition will be held at the school’s West Kendall Campus located at 8765 S.W. 165th Avenue and Latin Rock band, Vecinos de la Noche will kick-start the evening with a concert. As Video Gaming Tournaments all over the country continue to be on the rise; fanatics here in Miami, Florida urge CBT College to put on more LANBASH events. Previous LANBASHes can be seen on YouTube at: http://www.youtube.com/user/collegeofbiztech. A LANBASH is a party that involves a group of players competing in multiplayer video games across a Local Area Network (LAN) rather than over the Internet. 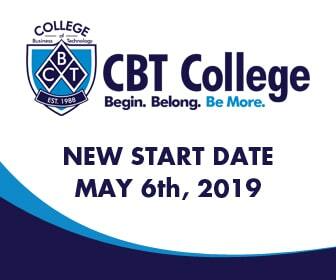 As well, CBT College’s LANBASH tournaments expose students to numerous opportunities in one the fastest growing industries, Information Technology and Graphic Design. “We are very proud to be able to open our doors to the community, while giving them a preview of what the future trades are,” adds Monica. As firms continue investing in new technologies, computer system administrator and graphic design positions are expected to increase an estimated 16 to 23 percent by 2018. Furthermore, CBT College is an institution that provides a top-notch education in modern technological industries. It also has a career services division that helps place its graduates in jobs within these booming industries. LANBASH 4 gamers must be at least 17 years of age to play rated “M” games, including: Call Of Duty: Modern Warfare 2, Star Craft 2 and Marvel vs. Capcom 3: Fate of Two Worlds. To register go to www.cbtlanparty.com and click on “register.” Admission is FREE. Prizes for winners include the latest OCZ Vertex 2 SATA II 2.5″ SSD Hardrive and an XBOX 360 Kinect in addition to other cool gifts and prizes provided by the sponsors that today include Bigfoot Networks, TigerDirect, GameStop, Origin PC, Bawls Guarana, Rent-A-Center (RAC), Papa John’s Pizza and Chic Berry Frozen Yogurt. Vecinos de la Noche (www.vecinosdelanoche.com), will perform between 6 and 7 p.m. and the tournaments will commence at 7 and will go on until 11 p.m. And much like Star Wars enthusiasts dress up like their favorite movie characters, tournament participants are being asked to dress in heroic costumes.